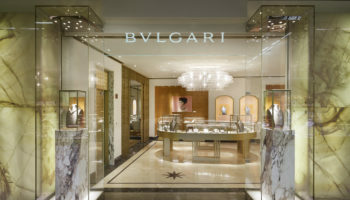 Bulgari has unveiled its first fresh watches since Baselworld with all black additions to its ultra-slim Octo family. 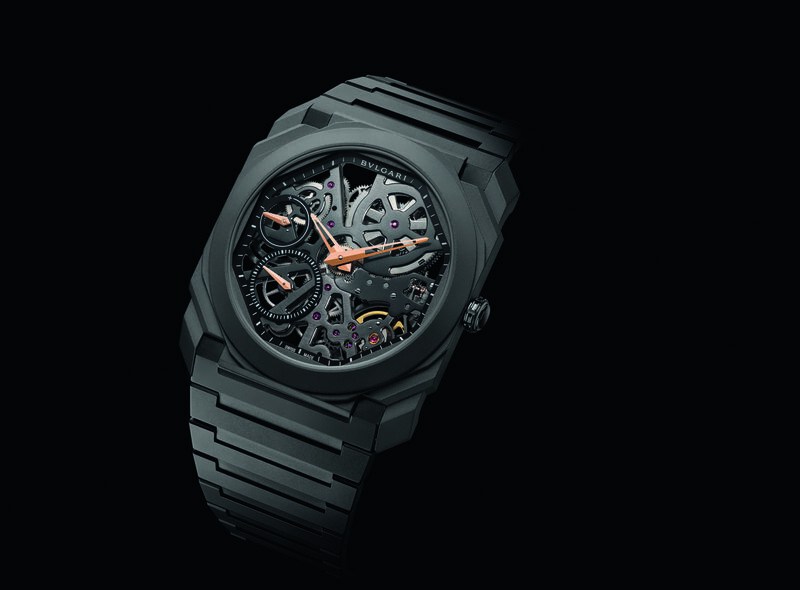 The Octo Finissimo Skeleton comes in a 5.8mm thick, 40mm octagonal titanium case with black DLC coating on an integral black titanium bracelet. 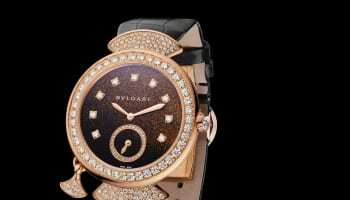 The watch’s open dial exposes the hand-wound BVL Calibre 128SK movement with black bridges. 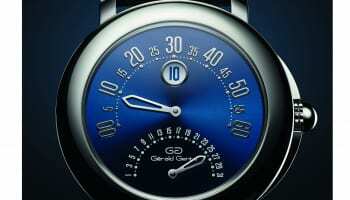 It drives hours, minutes, small seconds and a power reserve that goes from 65 hours to zero. 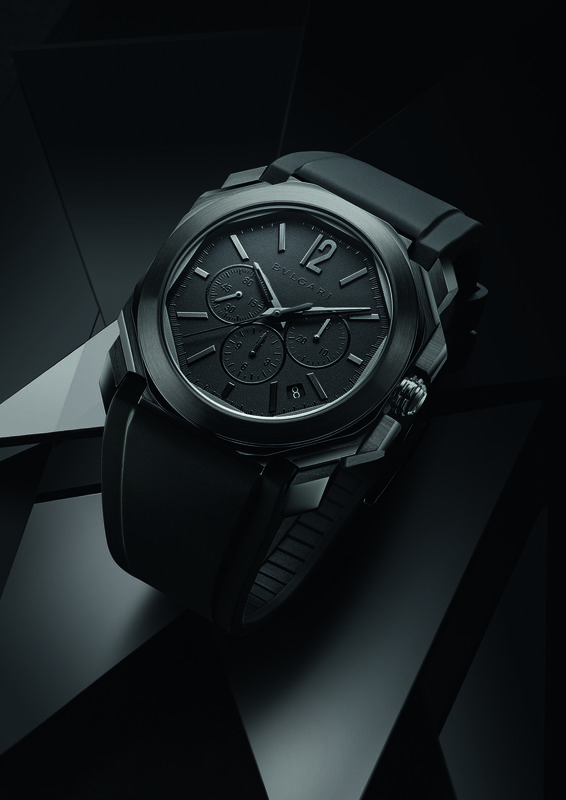 The Octo L’Originale chronograph combines smoldering style with legibility in a 41.5mm stainless steel watch that is also blacked with DLC coating. Inside is an automatic BVL Calibre 328 with a chronograph function plus hours, minutes, seconds and date. It has 50 hours of power and comes on either a black DLC treated steel bracelet or rubber strap. 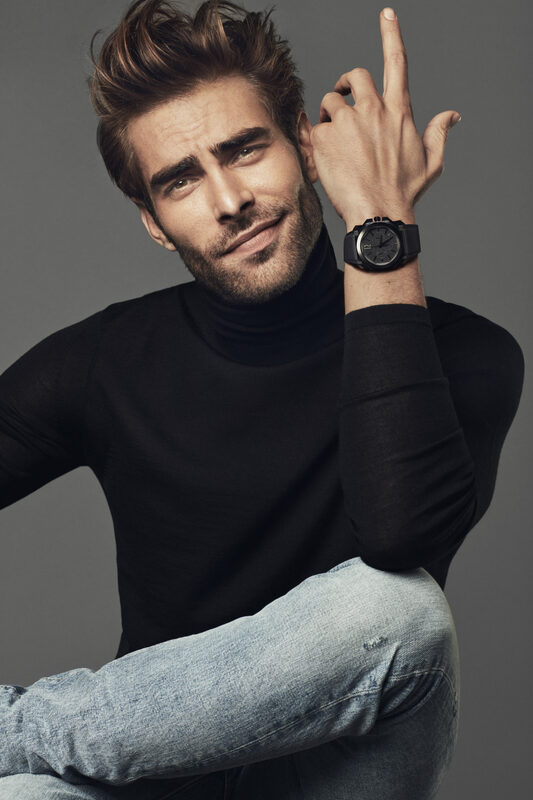 Bulgari watch ambassador Jon Kortajarena Redruello, a Spanish actor and model, is being used to launch the watches. He is photographed wearing the Octo Black Edition Octo L’Originale chronograph.